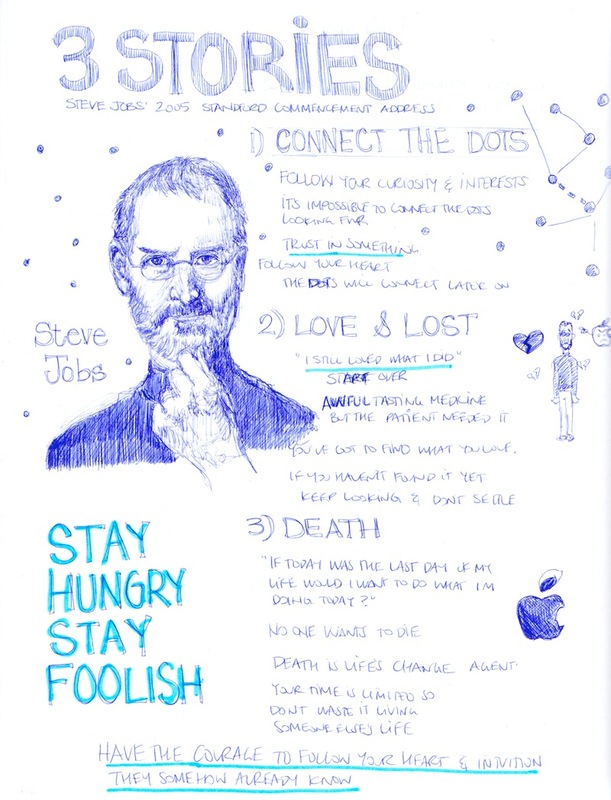 I recently came across Steve Jobs' commencement address to a graduating class from Stanford University. He had very interesting things to say about life in general and I felt compelled to note down a few key points that were insightful to me. The main thing was about connecting the dots... or rather the fact that it's impossible to connect the dots looking ahead. You can only connect them once you've done the deeds. This is something that has been "bothering" me for a while. But it makes sense. I guess I had a "Aha" moment, as Oprah likes to call them, when I heard him say that. As long as you trust your instinct, follow your heart/passion/interests in life, you're going in the right direction and it will make sense after. The second "Aha moment" was when he talked about how sometime life gives you awful tasting medicine, but that what you need as a patient. I guess it's a different way to say turn lemons into lemonade, or better yet, understand that everything that happens in your life is there to serve as a lesson. If you get it, you can grow. In his case, getting fired from Apple was a blessing. It gave him a chance to not only build a family, but start two other very successful companies (Pixar and NeXt) and bring even more innovation to this world. I didn't know he had founded two other companies besides Apple. I can see why people like Kanye West really admire them. He was definitely an innovator.